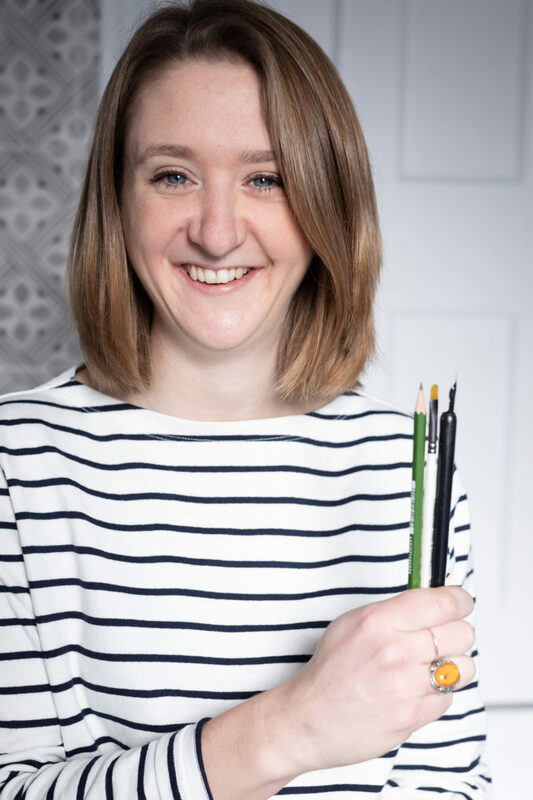 My name is Polly and I am an illustrator and stationer working in ink, pencil and watercolour from my studio in leafy South East London. My work is inspired by the things I love – architecture, plants, flowers, travel and the outdoors. Every piece I create is unique – bespoke and to commission. I specialise in creating stationery for weddings or celebrations: tailor-made invitations, illustrated maps and particulars, RSVP cards, menu designs, venue drawings, table plans, table names and place cards. Everything is original: no re-prints, no cut and paste, no old work. 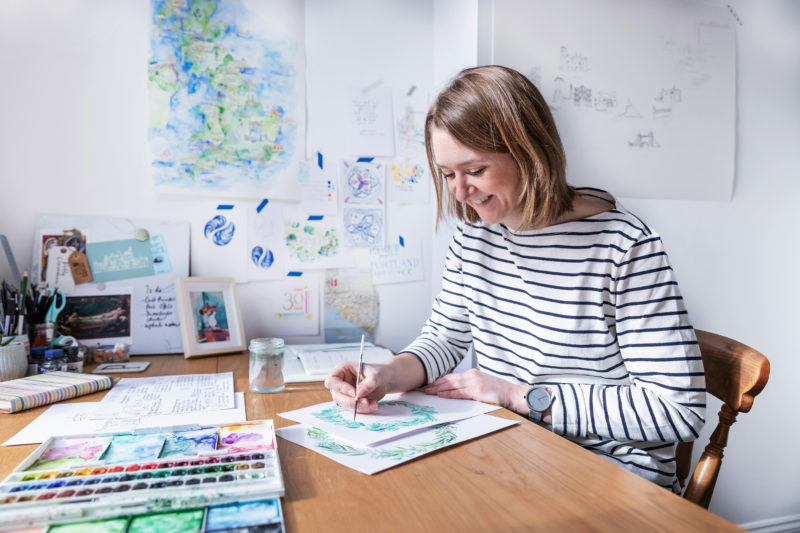 I also take personal commissions for one-off projects for original pieces – for a gift for a big birthday, a memorable wedding present, or a ‘paper’ first anniversary gift. You name it, I’ll draw it. I am also lucky to work for publications, brands and companies looking to bring some illustration into their lives. You can see some of that work on the ‘Projects’ page. This website presents a changing snapshot of my recent work and is the very start of a journey – with much more to come. Follow me to see what I’ve been up to most recently or get in touch if you have an idea you’d like to discuss. My favourite colour is petroleum blue, and I love stripes!